I’m excited to bring today’s guest, Karen Briscoe to this week’s episode. She is an amazing lady. Let me just give you the quick bio on her. Karen is the principal owner of Huckaby Briscoe Conroy, HBC, with Keller Williams in McLean, Virginia. She’s recognized by the Wall Street Journal as one of the top 250 real estate teams in the US and ranked in the top 100 teams with Keller Williams, ever year since 2009. Her and her team have collectively sold over 1,000 homes valued at more than $1 billion dollars. 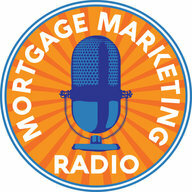 So Karen and I are talking about how do you add value to agents as a Loan Officer? How do you get noticed, how do you rise above the noise? And we’re also unpacking some strategies and tips that real estate agents can apply in their business. 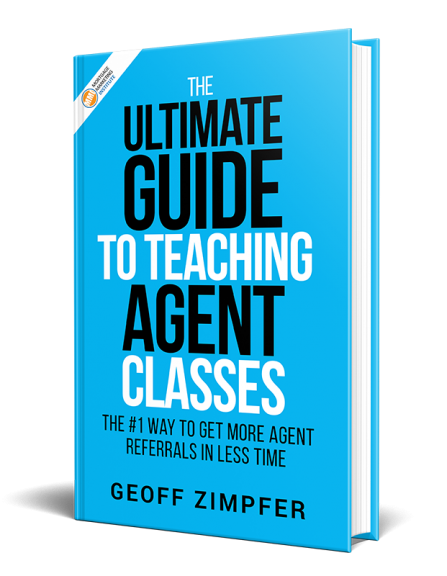 Listen to this episode and you will get lessons and takeaways on how you can more successfully attract and convert real estate agents. 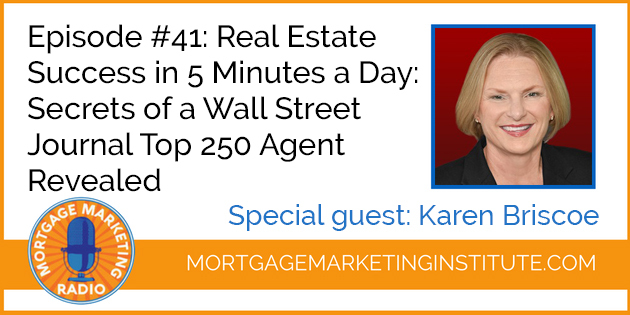 One of the ways you can do add value to agents and improve your conversion rate is by getting and reading Karen’s book; Real Estate Success in 5 Minutes a Day: Secrets of a Top Agent Revealed.